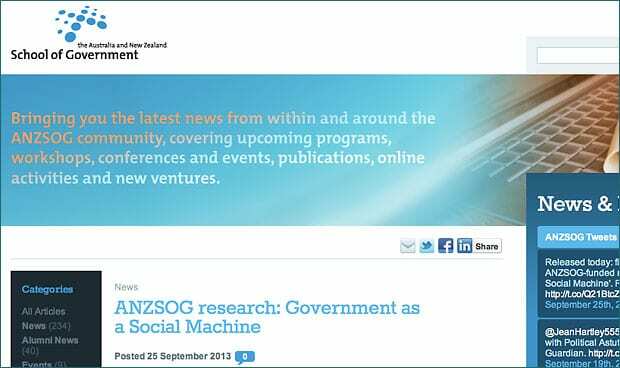 Today ANZSOG released the first report on our “Government as a Social Machine” research project which can be found on the ANZSOG site here. It is also available on the Intersticia site here. You may recall that I wrote about this research in a previous post. This brings together the “desk research” phase of the project, and the second report will give a more in-depth analysis of a number of examples of social machines in action.